It is our greatest pleasure to be able to help our customers to know about Japan’s traditional crafts and culture, and local information in Japan.Please feel free to ask us about anything in Japan. We will be glad to answer any question about products. We will be glad to answer any question about techniques and the way of making about traditional crafts, etc. We are glad to help to find out any product for you. We will be glad to answer any question about Japanese history and culture. Provide any information on tourist facilities and the local information with pleasure. Provide any shopping information you would like to know for you. Arrange services and facilities for you. Plan and arrange your tourist course, etc. as you wish. We are delighted to suggest good souvenirs for you. 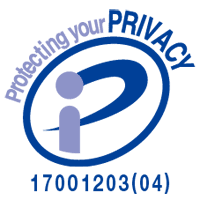 Upon collecting personal information, we shall collect only the minimum information necessary to meet our purpose of use after we specify the purpose of use and get the consent from you. We shall use personal information within the scope of necessity to fulfill the purpose to which you consent when we obtain the personal information. If we need to use the personal information beyond such scope, we will notify the purpose of use and get the prior consent from you. Also, personal information provided to third parties will be treated in the same way. We shall use personal information for the following purposes. - contact to necessary person for business, counseling, contract, etc. We shall not disclose or provide the personal information to any third party, except as set out below. If we disclose or provide the personal information with your consent, we shall implement necessary measures with the third party, and exert our best efforts to protect your personal information. In order to prevent the loss, destruction, falsification or leak of personal information and unauthorized access to personal information, we comply with the relevant laws, national guidelines, regulations and internal regulations. In addition, we assign in charge of personal information, and take necessary security measures. Our employees who collect and use personal information are trained regarding protection and proper management of personal information, and pay attention to keep security of personal information under the manager's direction. "Contact us for personal information"